GET A COMPLIMENTARY CAR WASH WITH ANY SERVICE PERFORMED AT JIM MARSH’S SERVICE DEPARTMENT. Exterior wash, rinse and dry only. Coupon not valid with any other offer. Must present coupon at time of purchase. Limit one coupon per person. Coupon does not apply to prior purchases. Other restrictions my apply. Void where prohibited. Redeem this coupon in the service department to receive a lube, oil, and filter change at an exclusive discount. Valid for Kia vehicles only. Void where prohibited by law. An environmental disposal fee may apply. Taxes not included in the price. Not to be combined with any other offers, coupons or discounts. Must present coupon in person at dealership at the time of arrival. Limit one coupon per customer per service item. Synthetic oil may incur additional cost. 2019 Kia Motors America, Inc. 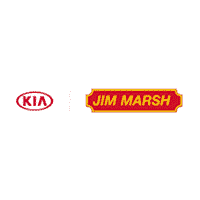 Valid at Jim Marsh Kia.